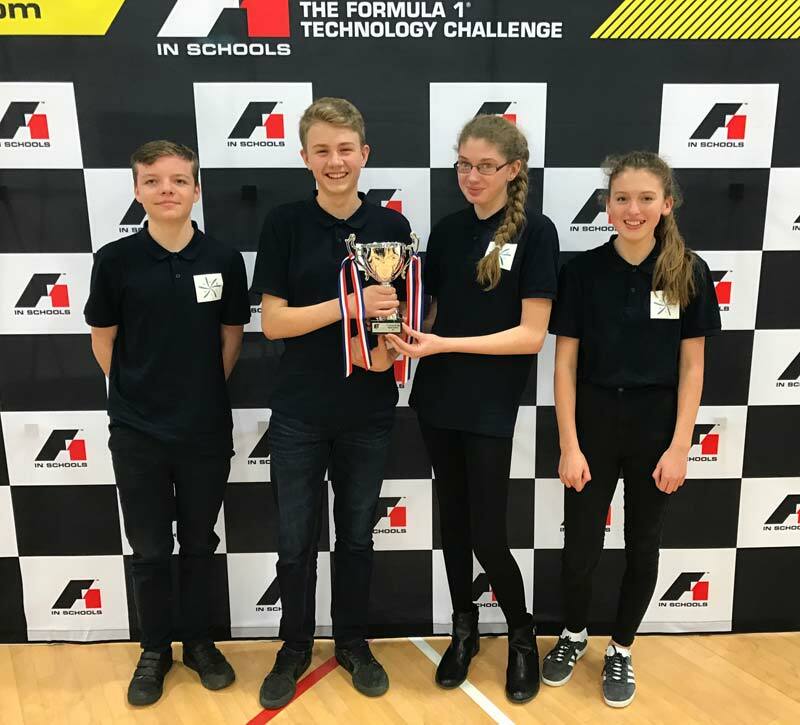 Engineers from TDK-Lambda UK in Ilfracombe, North Devon supported a team of students from the town’s Ilfracombe Academy with its entry to the international STEM competition, F1 in Schools. This is part of an extensive programme that TDK-Lambda engineers are engaged in to help promote, encourage and support STEM (science, technology, engineering and mathematics) education to young people across the region. Spanning age ranges of 9 to 19, F1 in Schools is a global educational programme designed to raise awareness of STEM among students. Its main objective is to challenge the perception of STEM subjects, using Formula One’s appeal to create a fun and exciting learning environment, helping young people to develop informed views about careers in engineering. Teams of 3-6 students use CAD/CAM software to collaborate, design, analyse, manufacture, test, and then race miniature compressed air powered balsa wood F1 cars. In addition to the engineering elements, each team must also raise sponsorship and manage budgets to fund research, travel and accommodation, as well as create a design portfolio and present their project to judges. TDK-Lambda provided support and mentoring to the Ilfracombe Academy Year 9 team, Nebula. 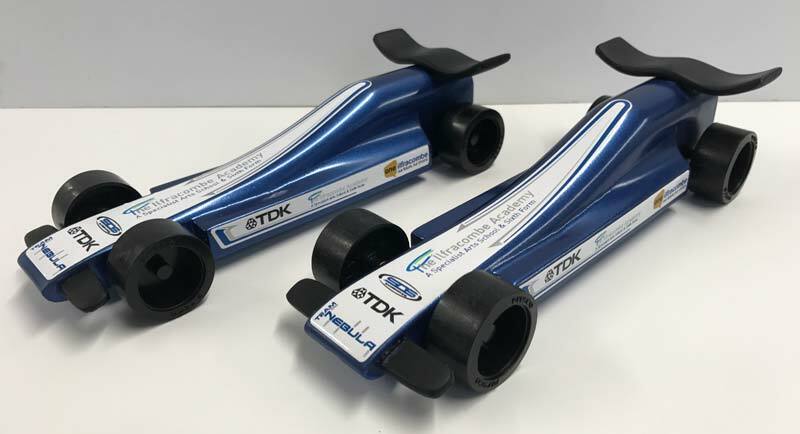 TDK-Lambda engineer, Stephen Smith, and milling machine operator, Dave Maskrey, shared their engineering knowledge, helping the team to develop its 3D concept design and go on to build two competition race cars. Working with the TDK-Lambda engineers, and Design Technology teacher and Head of Year 9, Steve Cronin, Nebula competed for the first time at the South West Regional finals in South Devon in February 2017. The team won their category (Entry Class) overall, recording the fastest car, as well as creating a high quality portfolio of supporting work and delivering two presentations to the judges. TDK-Lambda UK has manufactured electronic power supplies in Ilfracombe for 50 years and offers a range of STEM-focused career opportunities.